Hey, what do you know? It’s the 20th anniversary of the Factory Connection/GEICO Honda team. While the team started small and turned into something quite different from its original intent, one thing has barely changed throughout two decades—in whatever class it competes in, this team is always in the battle for podiums. There’s also huge loyalty, as the team has raced on Hondas for all of its 20 years, and a lot of the same people have been working for the squad for very long tenures. We recently walked down memory lane with Factory Connection Suspension owner Rick Zielfelder to get some insight about how the team began, what the steps of growth were, and also some season and rider highlights. Congrats to all the guys on the team, the sponsors of it for a great 20-year run. Here’s to 20 more! Actually, how it all began was May, his mother, was a travel agent for a lot of the industry, including handling my travel at that time. 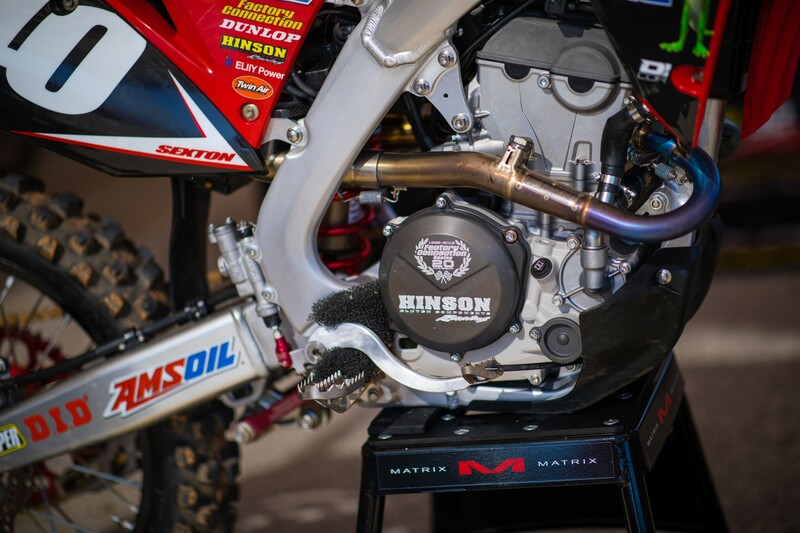 So in 1997, we had provided suspension services for Damon Bradshaw when he rode at Manchester Honda. People either loved Damon or hated Damon, but either way, it made our phone ring. So when conversing with May about some upcoming travel, I asked her what Mike had going on. She told me what he was looking at. I just threw out there that if he needed some help with suspension, I’d be really interested in helping him. Somehow that turned into her having him call me like we had interest in taking him racing. Which there was no plan behind that! It was just a comment. That phone call triggered me to talk to Fred Bramblett [Larocco’s agent] a little bit. We put some feelers out to see what we could raise for a little bit of money to go racing. We found a little bit of money, not near enough to go, but I basically had a credit card that I was willing to throw behind the effort. That was the start. We were Honda-supported. I was friends with Honda guys from having worked them a few years before. They were willing to help me with bikes, parts, and let Mike tap into some contingency. We kind of earned our way. He came out with some solid results and Honda started to get behind it more. It was kind of a really good situation. Timing was perfect for everybody. He had a point to prove, he wanted to show that “I’m not done.” I wasn’t wrong about what I thought was going on. So we kind of rode the coattails of that fire. On having the restaurant Jack in the Box on the bike as a sponsor that first year…. The Townsend family was a customer of FC. Extremely nice people. The father owned several Jack in the Box locations. He put me in touch with the lady that was running marketing for Jack in the Box corporate, and they did a small deal with us. There were a lot of product-type sponsors that were also paying us in the same range of what the Jack in the Box money was, but we made it look big because it gave us credibility right from the get-go. Paul DeLaurier was working for Damon as his mechanic. When the LaRocco deal came together it was just kind of a natural pull-over to have him work with Mike. So that’s how that started. In the beginning, it was myself, Paul, Mike, and technically Darren Borcherding wasn’t employed by the effort that we had going on, but he was Mike’s friend. He became an employee. Actually, at this point I think he’s the longest tenured employed of the race team. Darren is still there. So it was a tight little effort. Chuck Miller was overseeing motorcycle sports at Honda at that point in time. There was some friction around the 125 Honda effort at FMF at that point. Brock Sellards was a big part of Honda’s effort around that time. Chuck and I were friends. We were very comfortable working with one another. He asked me, “Do you have interest in this?” We had the Renegade one-piece fun-mover truck type of thing. I said, in a roundabout way, maybe, but not in that format. It’s too big. I’m a believer that you’ve got to walk before you run. So we scaled it back. We did Steve Boniface and Brandon Jesseman that first year on 125s. It was a good thing. That first year gave us some time to work on that motorcycle. Coming into ’02, Danny Betley and Andrew Hobson were working for American Honda, they were a big part of our 125 engine development. We made some strides. [Travis] Preston was 6’1, 190 pounds, and ended up winning that West title in ‘02. It was a blessing and a curse. Travis came to the team for a really relatively small salary. So, to pull that championship with that salary level, it set an expectation—let’s keep doing this. That doesn’t happen a lot. We proved for the next few years you can’t capture that lightning in a bottle again. The team became a Lites-class threat later, but we had several years that we banged around looking desperately for results. There’s been plenty of those stories over the years. Ryan was a kid that I knew from the Northeast. He actually kind of paved his own way because he won the A class at Loretta’s on a 125 Honda, so it was agreed that he would come on the team. There were a lot of people involved in those decisions at that point that we were going to give him an opportunity. He showed huge potential. What people don't remember, I don’t think, is in ’04, the 125 East was the last series where we contested a 125 two-stroke. Ryan was supposed to ride 125 all year. 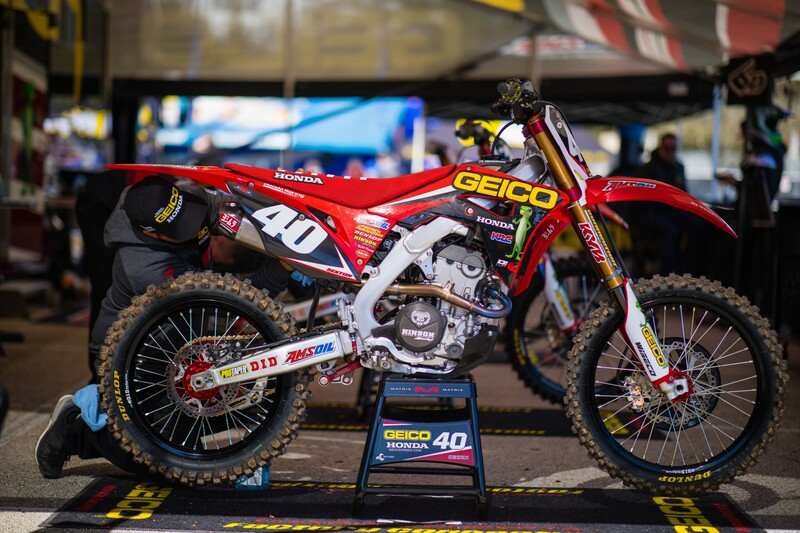 He ended up riding a 125 in East, and then he switched to the 250F for the nationals. I believe, in was almost every single round, he came out of practice second to Bubba [James Stewart] on the 125. He had the speed, had the skill, but some people are racers and some people aren’t. It’s kind of one of those scenarios. That was a crazy day. Nobody expected him to come out and holeshot and lead that first moto at Hangtown like he did. It kind of showed us the potential that some of these kids have, and was probably a precursor into what we did later on. That was Chuck Miller. Kevin, most people will remember a little bit of the trouble he had at the end of his Suzuki days, and then he went away for a while. 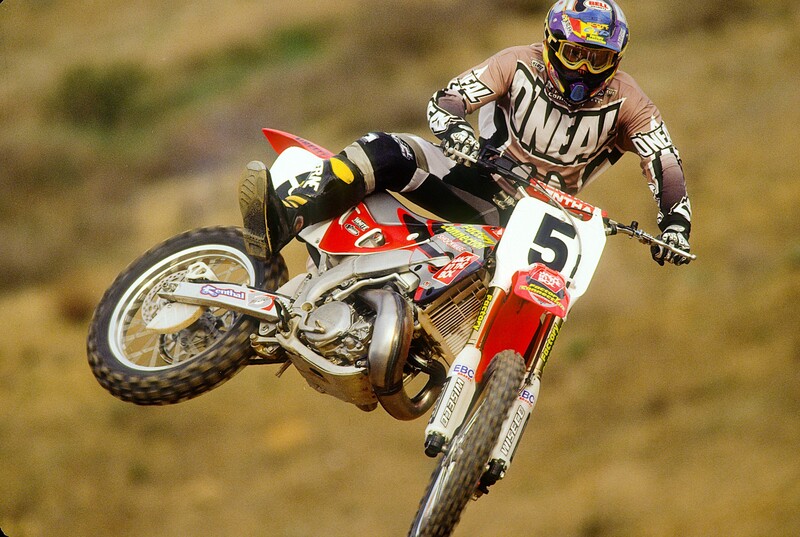 Unbeknownst to anybody, Chuck Miller sent Kevin Windham a CRF450. He just had a feeling that if anybody’s going to ride this four-stroke well, it’s going to be Windham. He just sent it to him. No strings, no anything. Just, “If you want to ride, here’s a bike to ride.” Well, sure enough, when Kevin spent enough time away, and got to the point where he wanted to right some of the wrongs with his career, he absolutely enjoyed riding that four-stroke. He felt it suited his skill set. Very few people saw this. 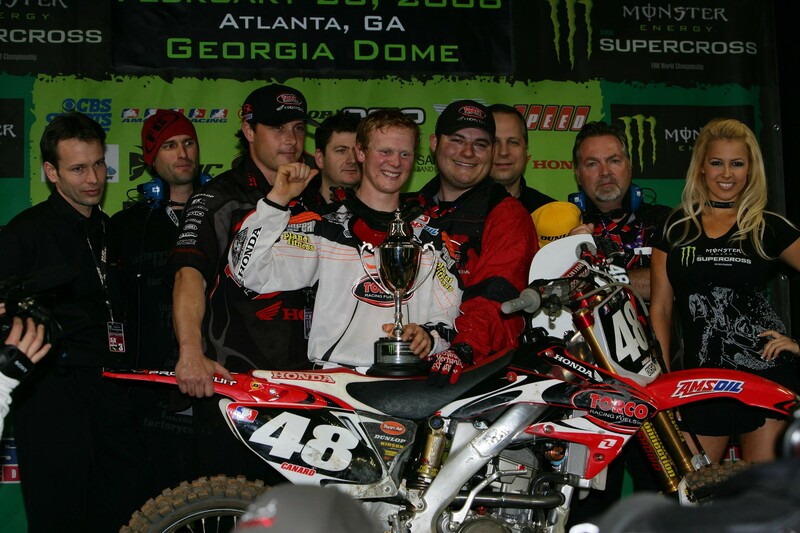 In preparation for the nationals that year, I believe Ricky [Carmichael] had just come off the ’02 first undefeated season. We went to some combined tests and I could see what was coming, and so could other people. Ricky would go out and throw down a time. Kevin would make a change on his bike. He’d come out. He’d throw down a time. He was just able to ratchet [up the speed]. You could see something special was about to happen. Ricky was a good guy. We never worked together, but he was always friendly. I remember Unadilla that year. Ricky on the 250 two-stroke, Kevin on the 450. They went at it both motos. Kevin ended up beating him, but it was a dogfight the whole way. As Ricky comes off the track, he rides by me and he says, “I was twisting the grip off of this thing trying to beat him.” It was respect. That was one of those amazing days. It was a very, very unique sponsorship not just because of the category, but the funding was unique. I’ve never heard of it since. They guaranteed our race budget. We were supposed to go out and try to sell more sponsorship, but they were like, “You commit to this. We’ll guarantee that you have the funding. We want you to raise more money to lower our exposure.” It was a very unique arrangement. Aaron Sorrensen, who created the interactive display we had at that point, he’s no longer at Doc Martens, but we’ve stayed in touch to this day. He’s a fan of the sport. He’s still got some fond memories of what we did at that point in time. I remember having lunch with Trey before the series started. He was so pumped because he just got through the whoops for the first time the day before. Couldn’t believe he was able to get through the whoops. The next day he breaks his collarbone. So, we actually came into that thing without a lot of preparation. The whoops were a real concern, but earlier we talked about some guys are racers and some guys aren’t. 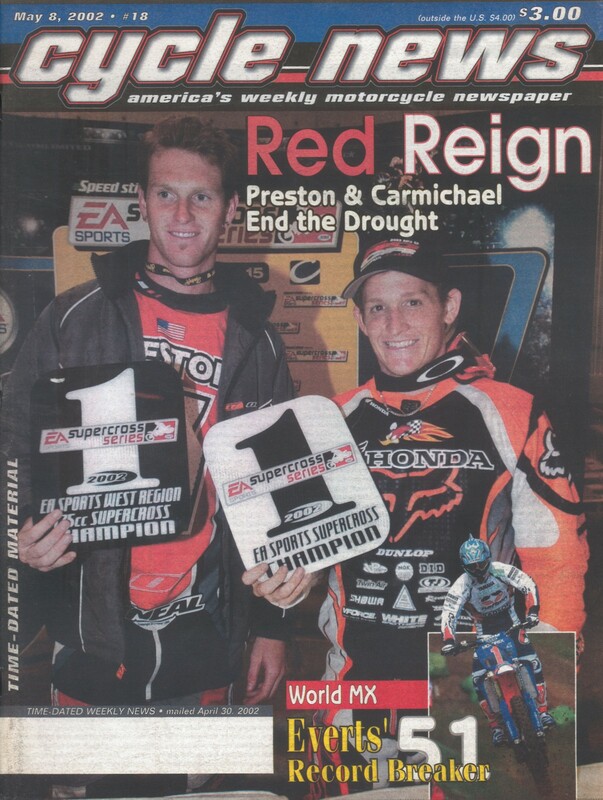 Trey Canard was a racer. He came out strong, determined, made an impact right away. I remember sitting in the high seats at Daytona that year. It was the mud race. I went up really high just so I could see the whole track. Roger [DeCoster] went up there as well. Sat down beside me. Trey is leading [Ryan] Villopoto around. They’re jumping things people weren’t even thinking of jumping, landing in these crazy spider ruts. Roger takes off his radio, looks at me, and says, “That Canard is for real.” It was unforeseen, but it was an amazing journey going through that. 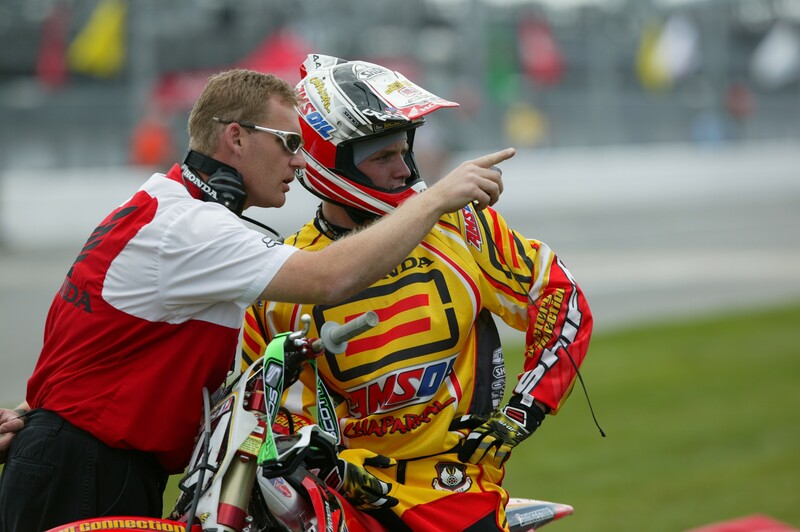 On Canard’s outdoor title in 2010…. Out of all the titles that we’ve won, all are special in certain ways, but that outdoor title with Trey, I think, was the hardest earned. I probably have the most respect for that because that was a brand-new motorcycle for us, the 2010 CRF250. We got it really late. Our supercross results showed how late. We didn’t have much time to develop it. I know what we came into that series with for a motorcycle. For Trey to get on that run and do what he did, knowing that in ’13 Eli [Tomac] handled that series as well, but the level of equipment that Eli had versus what Trey had, it was major. So I give so much credit to Trey. I’m really proud to have this team be a part of that success with him. Now that his career is done and he looks back…. Super proud of him. 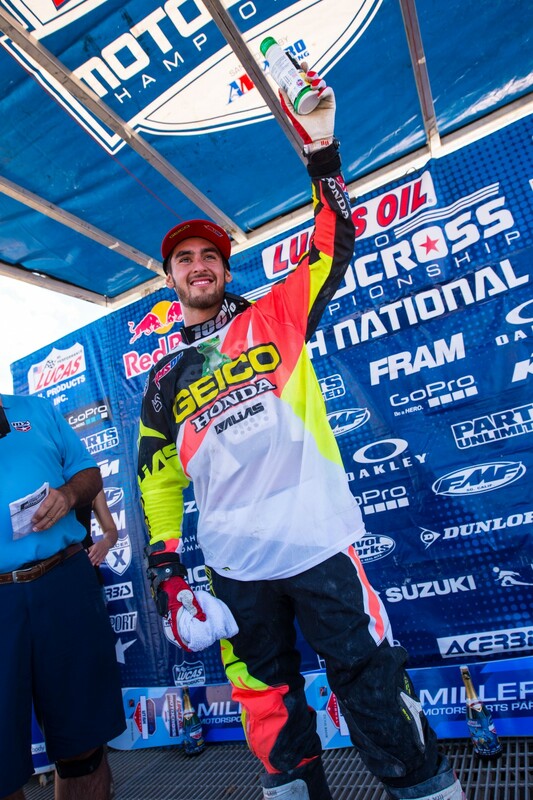 On Justin BogIe’s 250SX East title in 2014…. I could probably pull up a picture in my phone. I met Bogle in ’03 at Mini Olympics. It was a really random thing. I brought my boy to the Mini Olympics for the first time in ’03 to race the 50. We happened to park next to the Bogles. So I got to be really good friends with his dad. He was on Kawi, fluorescent orange helmet back then. Dad was a super guy. Became really good friends with the dad. There was never any pressure, never any “You need to come over, you need to do this or that.” The dad and I were friends, and of course the kids were friends. And then there got to be a point in time where Justin was looking at, where am I going? What am I doing? So dad reached out. We continued to talk. All I did is try to answer questions open and honestly. He was a Bobby Hewitt Xtreme Team Green kid. But it just came around that we were a good option for him. He had success at Loretta’s, like others. Came in and he had some injuries early on along the way, but again, another one of those stories that the investment paid the dividend with that ’14 East Coast. When we hired Eli, he had never even ridden a big bike. You go to enough of the amateur races at the national level and you can see which guys are for real. It doesn’t matter what type of dirt. You’ll have some guys that are really good on a track that might be local to them that has an amateur national, but you take them to World Mini when it was in Las Vegas, super hard packed, super sketchy, hard to get comfortable on, and they’re nowhere. The guys that were always there in the mix, you didn't have to be super savvy to understand they had something special coming. Eli was always special that way. 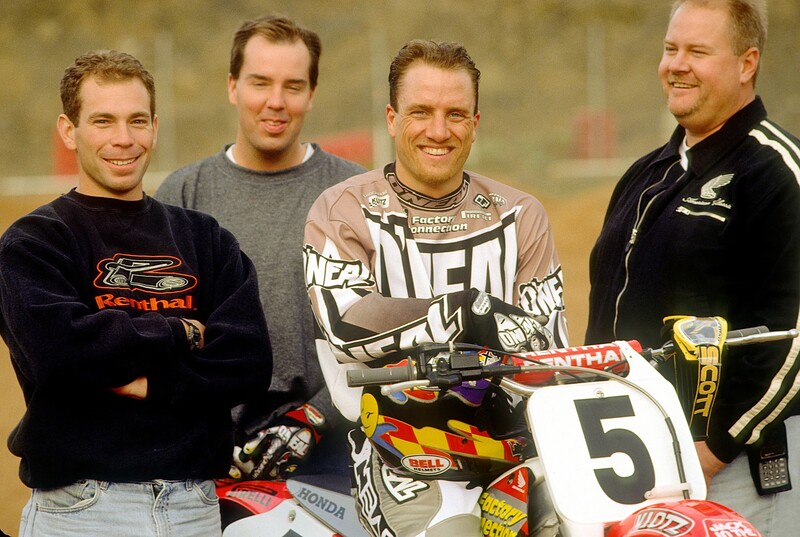 I had gone to their [Tomac] ranch in ’05 and spent a little bit of time with Eli. You could kind of see what was coming. Got to know the family. They were on Suzukis. I wasn’t trying to push anything. It was just a suspension thing at that point. That comfort, that relationship early on, led to them coming over to us at some point. The talent there is amazing, but what I don’t think a lot of people look at enough sometimes is the support group around that sort of thing. Everybody kind of knows the story of John. Well, most people don’t know how talented Eli’s mother Kathy was at mountain bike racing as well. There’s a lineage there and a guidance that was super, super productive in creating what Eli has become. Same thing back to Barcia. Unfortunately, Don [Barcia] had a legitimate work injury. Fell from a ladder, broke his back, couldn’t work. But it allowed him to spend the time with Justin for Justin to develop into what he became. Now, the exact opposite, Blake [Wharton] technically on paper had a higher pedigree than all of them coming out of amateur racing. But Blake had some unfortunate situations in his personal life, home life, that happened at the wrong time, right before the last Loretta’s, and then of course he was scheduled to come out to Millville [and turn pro] after that. All of those things worked against him. That initial start, those early races, they dictate a lot of the confidence and the outcome of what the career is going to be. I always feel bad for Blake that those unfortunate things came around at that time. He stays in touch. I spent time with him this week in California. Not everybody understands Blake. Blake’s a lot more intelligent than people realize. He can seem a little different. American Honda is amazing, and always has been amazing, to work with. I think we work well with each other and try to have each other’s back. We’ve done it for years, but right now Christian [Craig] was the example of they had a need, so we’re going to take one of our premier Lites guys and [our attitude is] “Here you go, boys.” Then there’s been other situations where they’re like, we’re not ready yet, but maybe we should do this here? In that case we’ll watch, evaluate, and look again maybe 12 months from now. We started with LaRocco as a 250 support effort at the time [in 1998]. But in ’01 and moving forward, our job became to be American Honda’s 125 support team or their full factory Lites effort. That’s our primary focus. The Mike and Kevin [on 450s] thing, that helped us raise the funds to do what we were supposed to do, and then in the situations that you mentioned, sometimes guys have moved right up to Honda, but there’s always a timing in when seats are available or not available. So, some of these other situations have happened because either the situation wasn’t right or didn’t exist. We do care about these kids and want to see them succeed and get an opportunity to be successful on that 450. At times, we’ve done those things just trying to bridge that gap. I don’t know how many people remember that old movie Old Yeller. That’s what it was for me. I love Mike like a brother. I miss him. I reached out to him this week. But times change and business needs change. Ultimately this is a business. So that’s all. GEICO was a life preserver. Basically in 2008 Jeff [Majkrzak] and I were pretty happy. We’d gotten a sponsorship from Torco race fuels. Wasn’t quite a million dollars at that point, but it was pretty dang close. I remember Saturday morning riding to Phoenix SX. We’d already built everything, painted trucks, awnings, everything. Going to the second round at Phoenix, Jeff and I arrive to the track, we get a call saying that the owner had just been arrested on tax evasion charges. So we knew there was trouble. We fought and looked at everything we could look at to salvage whatever we could salvage, but it was clear that we were low on the order of what was going to come from the assets that were left. So the GEICO thing happened for the summer at a discounted rate, but it helped smoothed over the serious cash flow issue we were in. The whole thing came together working with agent Bob Walker at that point in time. It worked well for both sides. They were happy with what we did, and it turned into this multi-year relationship. And it’s been a great relationship. I’m super, super thankful. It’s the foundation of what we have, at this point. It’s been a crazy ride. At times a lot of work, at times a lot of stress, but other times crazy amounts of joy and pride. Who knew? There was no business plan behind it. That 125 direction really came from Chuck Miller, but I remember that first year we weren’t sure what we were going to do. Timmy was riding a 125 Yamaha, I remember. We kept thinking that maybe we should pull together a teammate for Mike, because Timmy and Mike were really friendly at the time. There was some sincere interest in doing that. Had that happened, who knows what the outcome would have been? Maybe we would have just always been a 250 [premiere class] support team? I’ve got to say thanks to American Honda and all of our team sponsors, of course. Amsoil has been there almost as long as American Honda has. Thanks to the people that get behind our team and root for us and support us and keep us going!